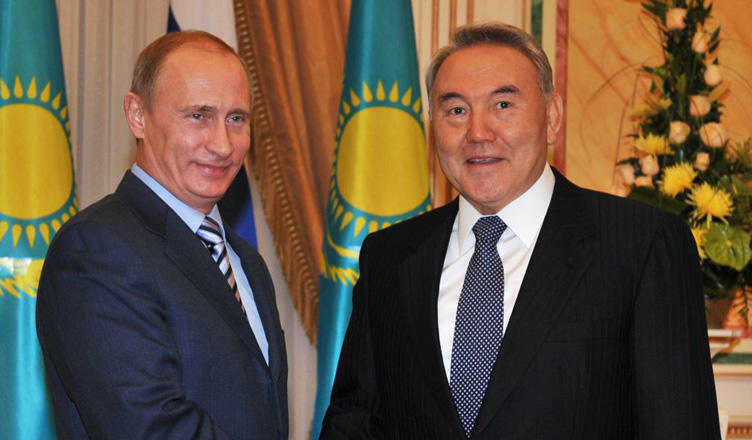 Presidents of Russia and Kazakhstan, Vladimir Putin and Nursultan Nazarbayev have discussed the cooperation within the EEU and the preparations for the Caspian summit, RIA Novosti reported referring to the press service of the Kremlin. "President of the Russian Federation Vladimir Putin has had a telephone conversation with President of the Republic of Kazakhstan Nursultan Nazarbayev.... Some issues of further development of cooperation within the Eurasian Economic Union as well as the preparations for the upcoming fifth Caspian summit in Aktau in August have been discussed," the message says. The two leaders also exchanged views on a number of topical issues of the international agenda. In addition, the president of Kazakhstan congratulated Putin on successfully holding the FIFA World Cup in Russia. The presidents also mulled the schedule of the upcoming meetings, the press service of the Kazakh leader reported. The conversation took place at the initiative of the Russian side.